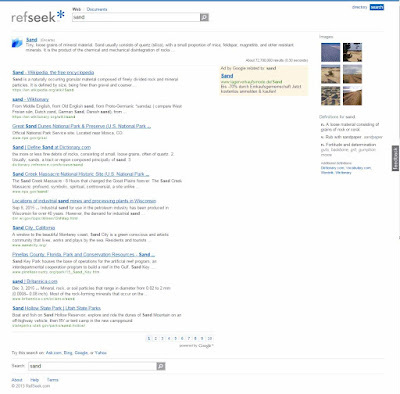 Refseek started in 2008 and was developed by Rick Gottlieb. Since 2015 (or earlier), Refseek has been using Google Custom Search. There isn't much to find about the previously underlying search technology. As far as can be seen, scientific offers such as CiteSeerX and Arxiv were originally searched. In addition, a Mathcalculator was offered, which is still listed in the search tips today, but no longer works. Today two searches based on the Google user-defined search are offered. The ebsuche is limited to eb pages with the extension org, gov, edu, The document search searches specifically for PDF documents. Closed Since 2015 (or earlier), Refseek has been using Google Custom Search.